Limes are good on anything! Very funny. As usual, your wit underscores all you do :) ..
this could be a winner. very striking obvious contrast. might have been nice to have a sliver taken out of the lime as well. perhaps you have some outtakes you can share after the challenge. great job. 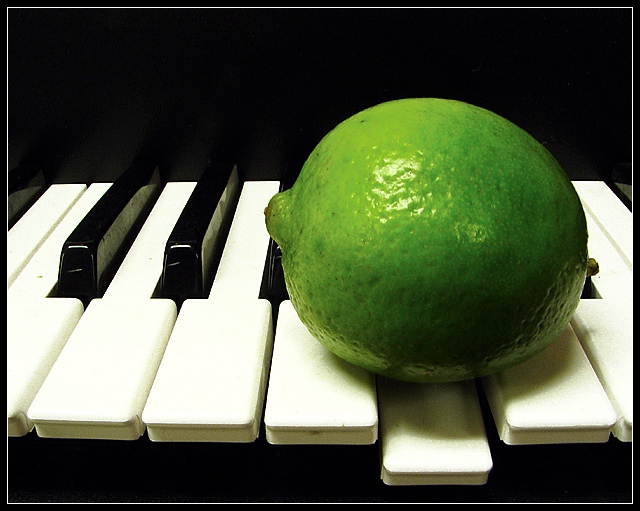 I love the lime and the way it's pressing on the piano key. Very nice! Proudly hosted by Sargasso Networks. Current Server Time: 04/21/2019 04:21:57 AM EDT.